Printable worksheets on counting numbers helps the preschool kids to practice counting in math from 1 to 10. Count the objects properly and match with the correct number. One is already solved for the kids to understand. 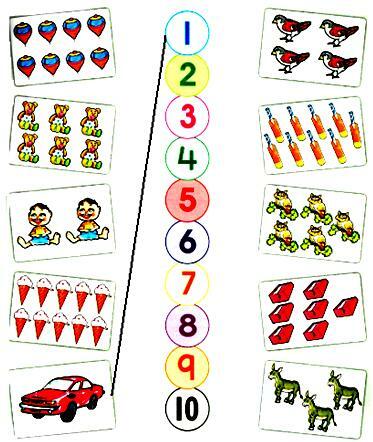 This math counting exercise increase the counting skills of the kids. Practice more counting activities for kids to learn counting. Preschoolers and homeschoolers can practice these learning activities on counting. Each preschool math activity provides numerous types of early childhood development which improves their learning experiences and will also help to prepare your child for future success.